Modern day American prophet Wendell Berry declares to us that “work done thankfully and well is prayer.” The Apostle Paul suggests to us that we should “pray without ceasing.” Are we then to infer that taking a short recreational break is verboten? Nonsense! 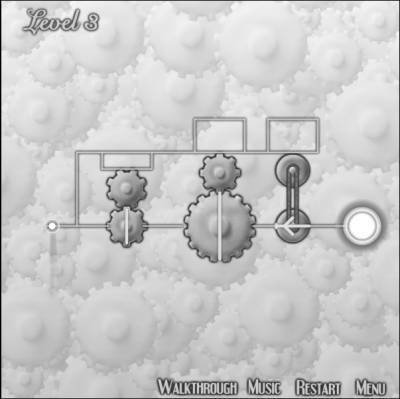 Please amuse yourself1 with Grayscale – a maze puzzle game of increasing complexity. Your aim, as ever, is to get from Point A to Point B. Follow your chosen path, rotate the gears that stand in your way and revel in your success when you achieve Nirvana2. So hip, hip and Cheerio to you my dear readers. Enjoy your weekly diversion and stay tuned for further updates. 1 always in moderation, of course.